I love making homemade popsicles. HEALTHY TIP: Whenever I make too much smoothie in the morning… which is basically everyday… (when will I learn to make less?!) I pour the extra smoothie into popsicle molds (I use this mold and these sticks ) for a healthy frozen snack 🙂 shared this tip on instagram the other day! 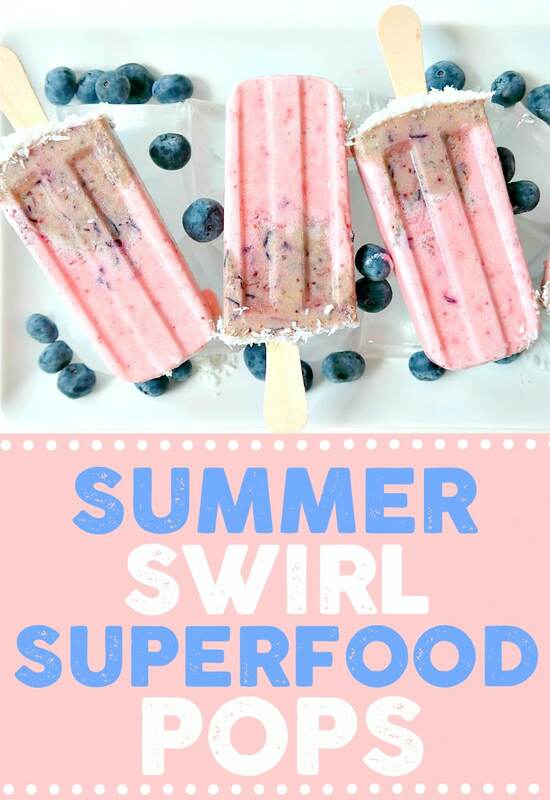 These Summer Swirl Superfood Pops make for the best summertime treat. Not to mention the pretty shade of pink with a sprinkling of yummy coconut. On a hot day, they’ll totally hit the spot with their refreshingly sweet taste. 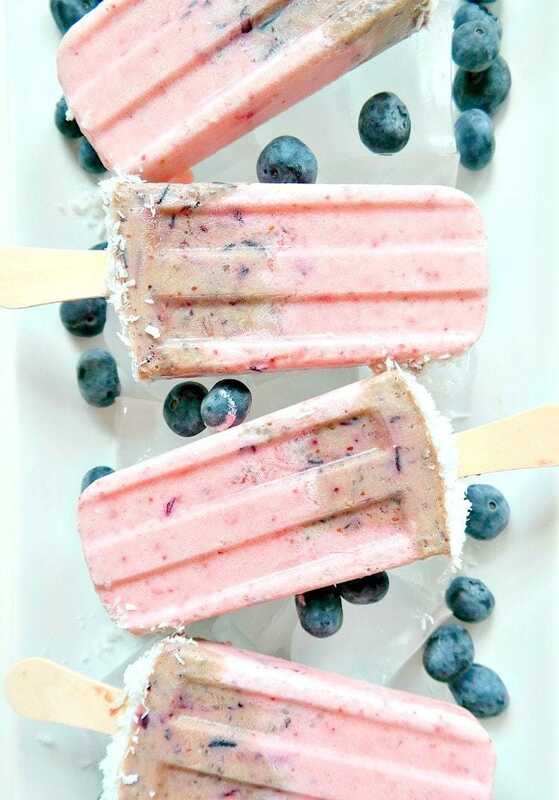 Coconut is a superfood on it’s own, but combine that with maca powder, chia seeds and antioxidant-rich blueberries and strawberries, and you have energizing superfood popsicles! 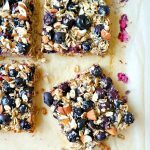 You guys know I try to add superfoods to everything. 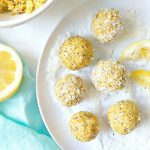 Maca powder is an adaptogen meaning it balances, heals and regulates hormone activity but it’s also amazing for energy, strength and endurance. 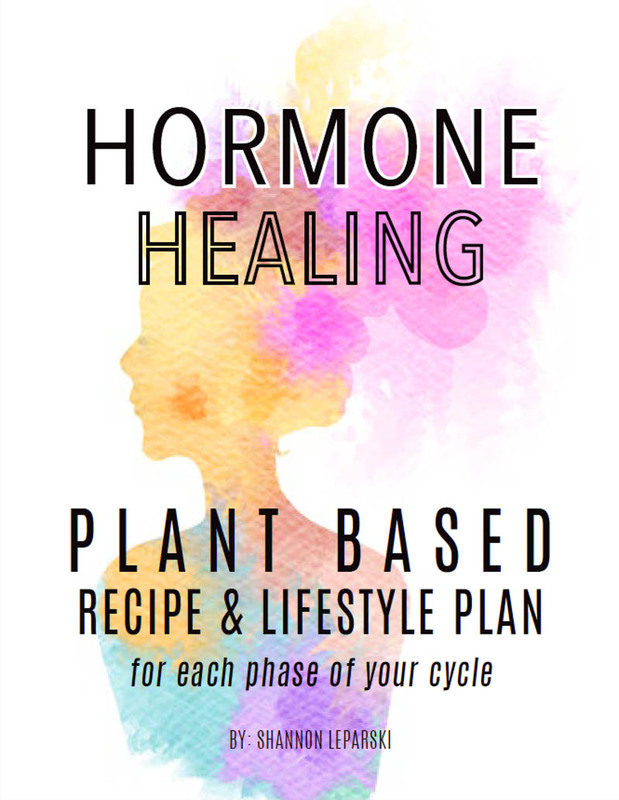 Plus, it’s a stress-relieving powerhouse with over 30 minerals (buy maca here ). 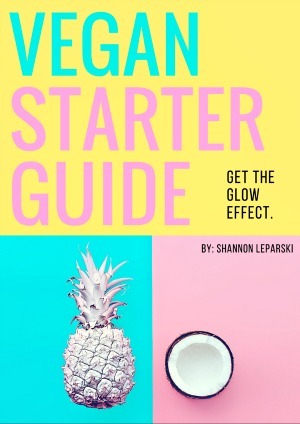 If you read my Vegan Starter Guide – you would know minerals are essential for beauty (skin, hair, nails etc.) 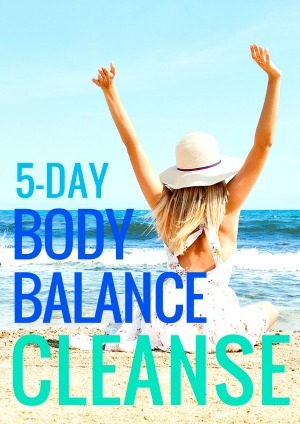 so it’s one of my favorite ways to add extra goodness in each day. Love adding it to smoothies too (like this one). 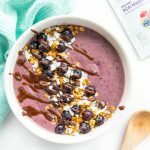 I’m sure you already know how chia seeds are a nutrient powerhouse with lots of fiber, iron, plant protein, calcium, potassium, magnesium and omega’s. 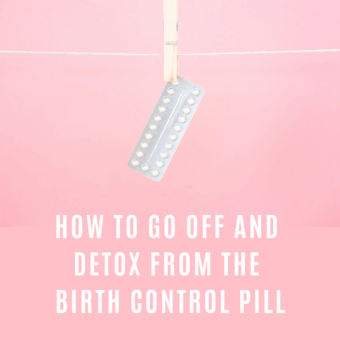 They give you the feeling of “fullness” as they expand and absorb liquid in the stomach and are great for digestion (buy my favorite chia seeds here ). 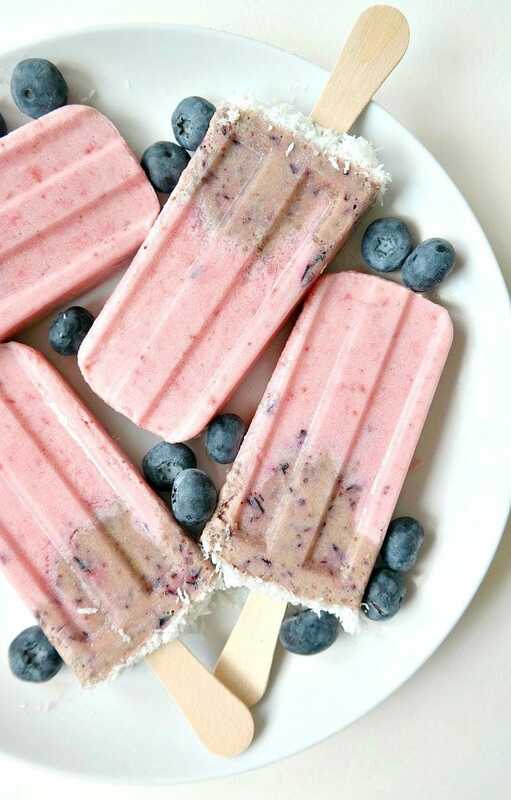 Anywayss, if you want a healthy summer popsicle that’s also pretty pink – these pops were made for you. In a blender, blend all ingredients for the pink layer until smooth. 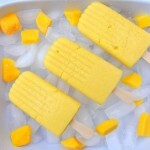 Pour the mixture into 8 popsicle molds. Set aside. Rinse the blender. Now blend all ingredients for the purple layer until smooth. Pour this mixture over the pink layer. Using a popsicle stick, swirl the purple layer a bit so it creates a swirly effect with the pink layer. 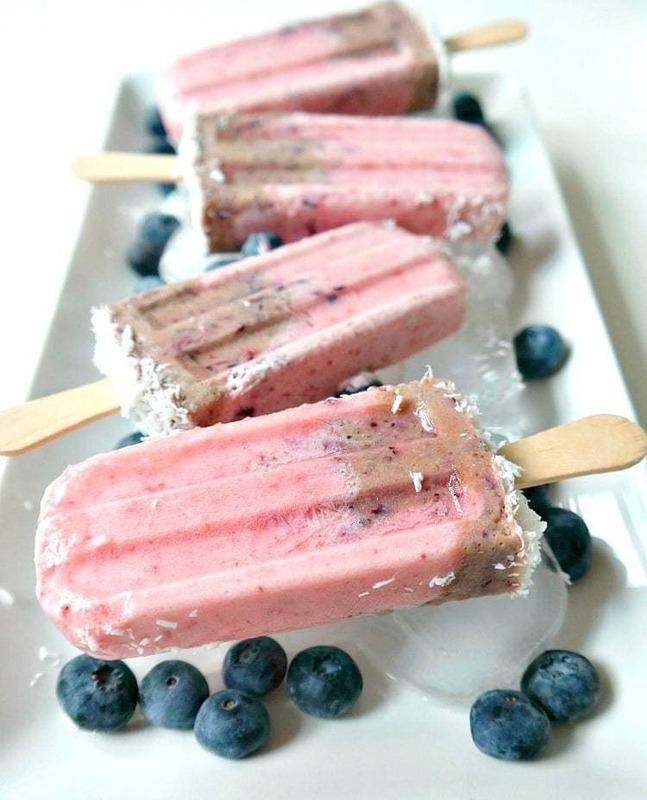 Sprinkle a layer of shredded coconut over each popsicle. Insert the popsicle sticks. If you make too much of a smoothie, you can also freeze the rest in an ice cube tray and pop it back in your blender with a bit of extra liquid to help it blend. 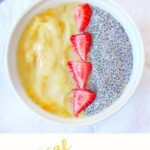 Love the different idea for batch smoothies, though! I’m a sucker for multi layer popsicles. 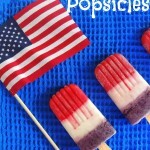 Yes, love the ice cube tray idea and same, multi layer pops are the best!